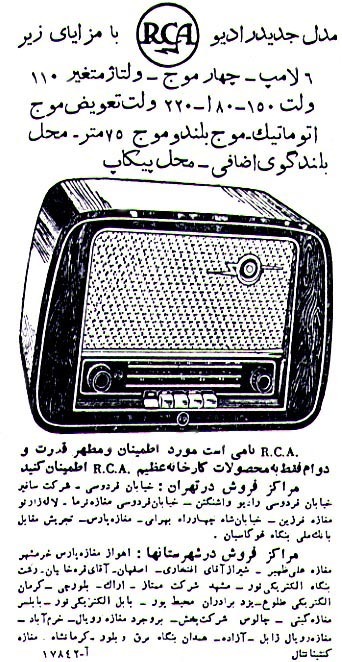 "The new RCA radio has these accessories: Six lamps, four waves, alternate voltage, automatic tuner, long wave and 75-meter wave, extra speaker space, and pick-up space. RCA is a trusted name that represents power and durability. Put your trust only in products built by the huge RCA factory." Published in Ettela'at, December 29, 1954.